Safe, Effective, & Responsible. 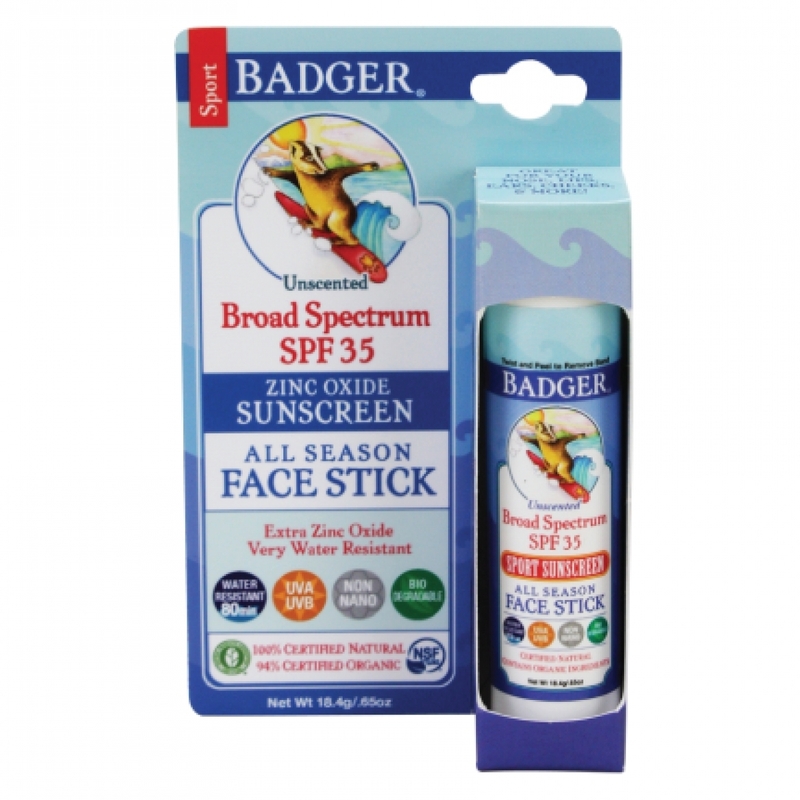 To meet the needs of hard-working, hard-playing Badgers everywhere, we specifically formulated this Sport Sunscreen Stick to protect skin from sun, wind, cold and water as safely and naturally as possible. This easy to use, no-mess stick fits nicely in beach bag, backpack, and board shorts, and can even travel in your carry-on bag! Biodegradable, environmentally friendly and rich in Certified Organic ingredients, this product is safe for children of all ages. Especially good for face, ears, nose and lips, naturally VERY water resistant (retains SPF protection up to 80 minutes), blocks both UVA and UVB rays, and thoroughly moisturizes while protecting you from sun, windburn, and chapping. 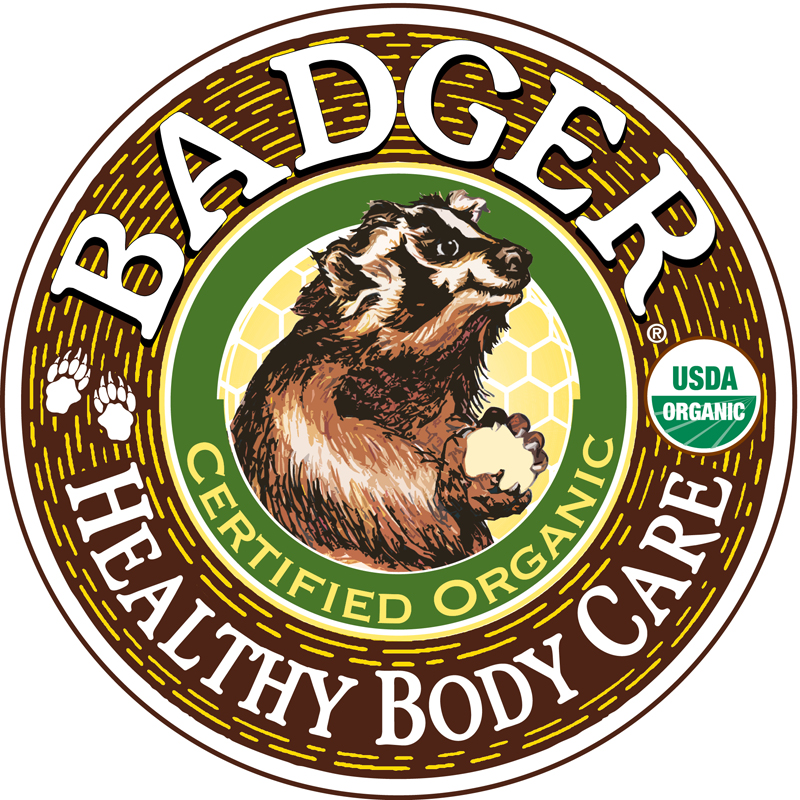 Certified Organic base of Extra Virgin Olive Oil, Beeswax, Jojoba & Cocoa Butter is ultra-moisturizing and soothing. This product is intended for "targeted" protection, either in conjunction with another sunscreen (to be used for the full body), or when only small areas of skin are exposed, such as the hands and face.